STAGE FOUR EATERS: The most important aspect of food for the toddler years is the quality-the types of carbs, protein, and fat, as well as the vitamins and minerals, in the foods you feed your baby˗̶and Happy Tot's Stage 4 foods have what your tot needs. 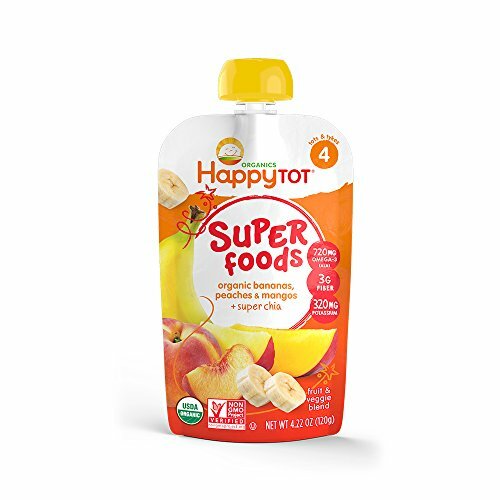 HAPPY TOT: Our toddler foods and toddler snacks are designed to provide your toddler with wholesome nourishment to support development. Our organic yogurt, veggie bowls, toddler formula, multi-grain toddler snacks & more will keep your tot a Happy Tot.